Thatched houses have graced the English scenery for centuries. Contrary to widespread belief, the tradition still thrives to date, and is a symbol of our rich cultural heritage. Fowler & Sons Master Thatchers Ltd was founded in 1976, and since then, has remained committed to preserving the longstanding tradition. 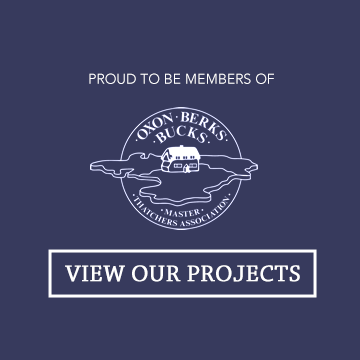 Steve, at the helm of the company, is a bona fide Master Thatcher, who has passed down his vast wealth of thatching knowledge to his sons Neil and Ben. Together, Fowler and his sons dedicate themselves to providing wide-ranging roof thatching services to clients in Wiltshire, Oxford, Gloucester and its environs. Here is a closer look at some of the thatching services you can request from the family-owned establishment. 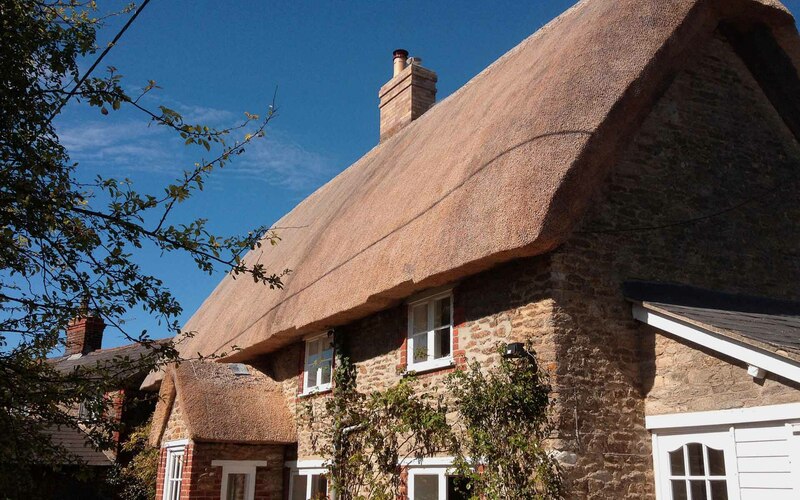 For over 40 years, the team at Fowler and Sons has beautifully installed thatches on new constructions, and also performed thatching overhauls on previously thatched houses. Total re-thatching can be a nerve-racking experience for property owners. However, our skilled craftsmen work fast and professionally to re-thatch any type of roof or size, including listed constructions. Although working fast is at the core of our company, we strive on being thorough in our undertaking. 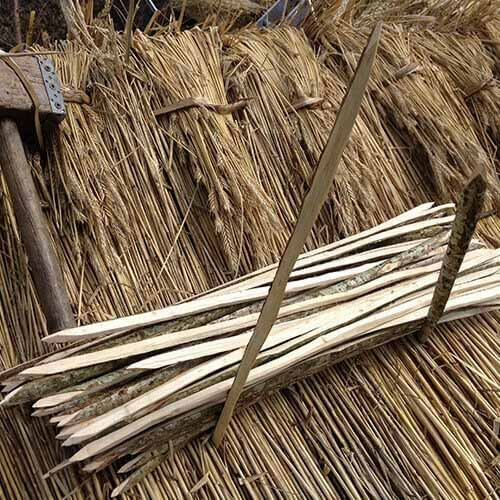 Consequently, before we can delve into the rethatch, we ensure that we have a solid base by either removing old wires, stripping old thatch, checking the roof timbers, among other things. Every rethatching project we undertake is geared towards the longevity and aesthetic elegance of your thatch. The lifespan of your thatched roof is contingent on the maintenance of the roof. At the peak of every thatched roof is the ridge, and for this reason, it tolerates the brunt of all conditions. Consequently, it requires to be replaced after a few years. Fowler and Sons provide re-ridging services to ensure that your roof is in pristine condition. Looks can be deceiving; a ridge may appear to be in good condition, but still be harbouring some underlying issues. You can tell if your roof needs re-ridging if you notice that the ridge is elevated from the thatch; this is usually a result of the thatch degrading, which causes the fixings to stick out. Otherwise, if your ridge appears untidy, it may require immediate re-ridging to avoid further damage to your roof. 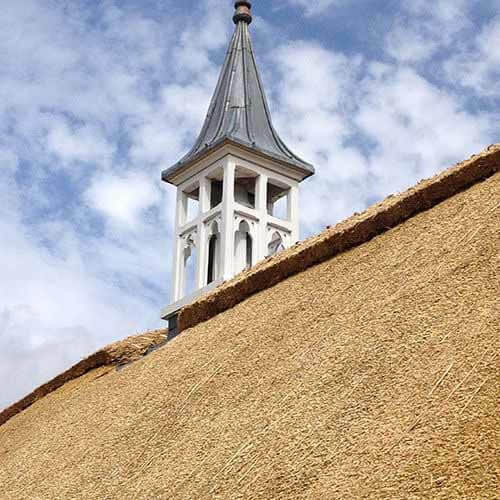 A thatch requires frequent maintenance to remain in tip-top condition. Re-thatching can be quite a costly venture, and simply because your roof appears to be messy does not warrant re-thatching. After surveying the condition of your thatch, we can establish its condition and make the appropriate arrangements for patching. Over the years, we have created solid rapports with experts in the building trade, which has enabled us to maintain a high level of specialisation. As a result, your patching project will be carried out by a specialist who will uncannily restore your thatch to its previous glory. At Fowler and Sons Ltd, we merge high-quality traditional craft with what our customers expect of a modern business that is centred on sterling customer service. Get in touch with us today for a consultation, and a no-obligation quote on 01367 242 185. Have you used our services before? Leave us a review! Fowler and Sons is a family run business established in 1976. When you choose Fowler and Sons you get a friendly and dedicated team of individuals with over 40 years of trade experience. 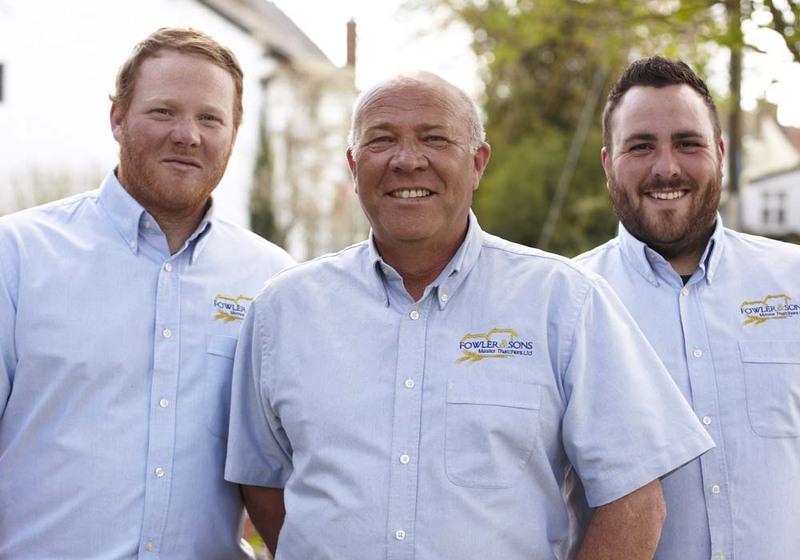 Steve, the head of the family has passed down his extensive knowledge as a Master Thatcher to his sons Neil and Ben resulting in the highest quality service. Fowler and Sons are fully insured to the highest level and dedicated to create the best possible outcome on all jobs. All of the work carried out by the family or their employees is truly the most personal service you can expect from a small family run business. We urgently needed a Thatcher for a new ridge, and we’re so glad we chose Fowler & Sons. Always prompt, friendly, knowledgeable and efficient, Steve & Ben really delivered an excellent service from start to finish. They took care of all details and showed great flexibility, when unanticipated things cropped up. Nothing was too much trouble! The results are stunning and the site was left incredibly clean. We have no hesitation in recommending their work. Thank you! Sorry I didn’t get to say this in person before you all left, but thanks so much for a fantastic job on the ridge – and for leaving everywhere so incredibly clean and tidy! Brilliant job – thanks again! I just wanted to thank you & the team for doing such a great job. The new thatch looks great. The guys did a great job and worked so hard in some pretty horrendous weather. They were punctual, hard working, friendly and really polite – would be more than happy to recommend them to anyone needing similar work and won’t hesitate to contact you if we need more work done in the future. I wanted to say thank you for a great job, so much so that we’ve even had neighbours calling up complimenting your company and the chaps working at the property. This is a very rare event, so thank you. Thanks for the thatching work done this month on my on my cottage. Thank you for your professionalism, and good team work, it looks very impressive! Just a quick email to thank you all for your hard work re-thatching our roof recently. It’s the second time we have used your services and are equally please with the result. We would especially like to thank you for your diplomatic negotiating skills when dealing with our particularly difficult neighbour to ensure everything went without a hitch. Wouldn’t hesitate to recommend Fowler and Sons to anyone. We first used Fowlers 10 years ago for the front of our cottage and didn’t hesitate to ask you again when the back needed re-thatching. As expected a first class job was carried out by a friendly and reliable family firm Many thanks. The result was good and the clean up was very impressive. Excellent craft skills, very hardworking and reliable with good attention to detail, the guys did a really great job re-thatching our house. The finished result is superb.